"The 21st century is coming my dear, and you're nowhere to be found"
The Bosnian Final was held on March 8th at the Bosnian TV Studios in Sarajevo, hosted by Ismeta Krvavac. 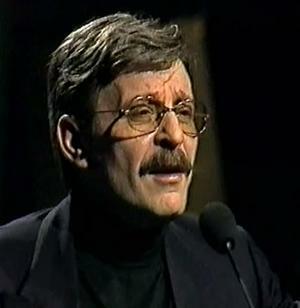 Davor Popovic sang all the songs and the winner was chosen by an "expert" jury. Only the winner was announced, however it is rumoured that "Bez tebe" came 2nd. Davor Popovic previously took part in the 1967 Yugoslav Final, came 5th in 1969, took part in the 1973 & 1974 semi-finals, came 3rd in 1975, 9th in 1982, 5th in 1983 & 8th in 1987 (in the group Indexi). He also sang two songs the 1993 Bosnian Final (one solo, and one in the group Izvodaca). At the ESC, he was 19th.